The paper seeks to understand whether the law and regulations are precisely and clearly drafted, if the law embeds accountability principles that shape the structure and functioning of the UIDAI and evaluates the grievance redress and enforcement provisions that are integral to the integrity of the system. 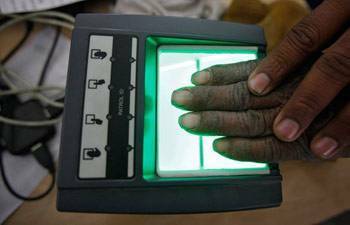 A working paper published by Delhi -based think-tank National Institute of Public Finance and Policy (NIPFP) has called for a complete overhaul of the legal rules that bind the functioning of the Unique Identification Authority of India (UIDAI), the agency that issues the Aadhaar number. It says that the agency may have been delegated too many responsibilities without adequate checks and balances. The paper evaluates the legal framework under which the Aadhaar Act and the Aadhaar Regulations operate. It seeks to understand whether the law and regulations are precisely and clearly drafted, if the law embeds accountability principles that shape the structure and functioning of the UIDAI and evaluates the grievance redress and enforcement provisions that are integral to the integrity of the system and are supposed to create a sufficient deterrent effect. However, it expresses no views on the constitutionality of the Aadhaar Project, which is presently sub judice before the Supreme Court and restricts itself to the evaluation of the Aadhar legal framework on issues of accountability, delegation, and grievance redress, purely from a policy perspective. Titled 'A critique of the Aadhaar legal framework', the paper says that UIDAI has been delegated the setting of several standards and procedures to its future self, suggesting that that process is operating in a legal vacuum. It also points out that the accountability framework on the UIDAI remains weak as there are no statutorily mandated accountability standards. The authors, Vrinda Bhandari and Renuka Sane argue that this lack of statutory mandated accountability makes measuring the performance of the UIDAI difficult. It expresses concerns over the gaps in the privacy protections provided and states that the regulations relating to grievance redress and enforcement are weak. It also criticises the manner of notification of regulations, stating that it was not appropriate. The paper notes that there was no public consultation or debate, even though the regulations significantly change certain provisions of the Act, make substantive additions, and have wide ramifications. "Regardless of where one stands on the desirability of a mandatory biometric based identification system for improving services delivery or tax compliance, it is hard to not demand that while the system is running it should clearly enumerate the rights of users, and provide mechanisms to safeguard those rights. In doing so it must provide for checks and balances on the behaviour of the State (i.e. the government and the UIDAI)", it said. According to the authors, the reported stories on data leakages, filing of FIRs, failures of biometric authentication, mismatch between names on various cards, are all outcomes of the weaknesses in the legal framework. Vrinda Bhandari is a practicing advocate in Delhi, and is appearing for one of the petitioners in challenging the constitutionality of the Aadhaar Act and its Regulations. Renuka Sane is a faculty at the NIPFP.